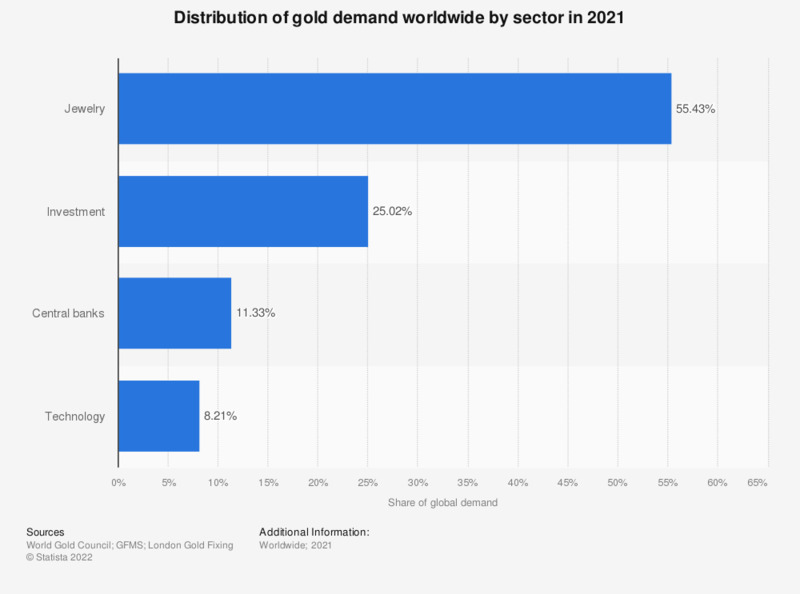 This statistic shows the distribution of global gold demand in 2017, sorted by industry sector. In that year, slightly over nine percent of the global gold demand was by the electronics industry. The jewelry industry was responsible for the largest part of the global demand of gold. Distribution figures have been calculated using the demand figures in metric tons provided by the source.